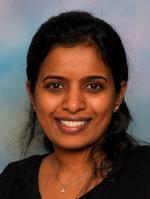 Dr. Swarna graduated with her DDS from the University of Detroit Mercy Dental School. She also received her Bachelor of Dental Surgery from Jawaharlal Nehru Medical College in Dharwad. She has over 15 years of experience in general & cosmetic dentistry and completed over 800 hours of continuing education. She obtained valuable experience working in different dental practices in Michigan and Ohio, before starting her own practice in 2006, Wayne Family Dental. In addition to continuing education, Dr. Swarna maintains her professional expertise through active involvement in a number of associations including; the Detroit Dental Society, Michigan Dental Association (MDA) and American Dental Association (ADA). Dr. Swarna philosophy defines a commitment to quality and customized care. She takes care to listen to patient concerns, while determining their needs for optimal oral health. Dr. Swarna values relationship she has with her patients and with the staff. She earned the American Academy of Esthetic Dentistry Award in 2004. Dr. Swarna is a member of the Wayne Chamber of Commerce and supports local businesses and events. She has been married for 20 years and enjoys spending time with her husband and 2 daughters.